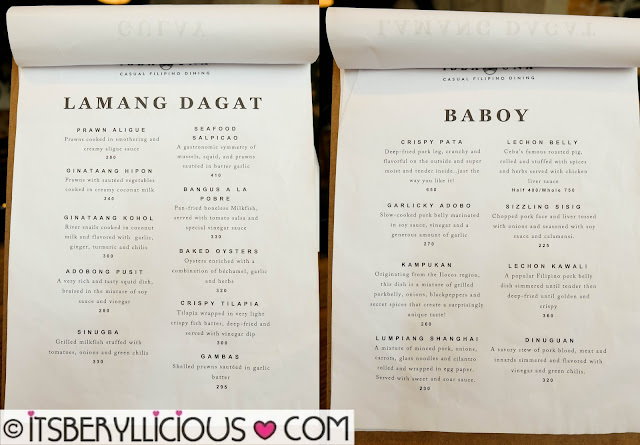 It has been a while since I last visited the Ortigas area particularly the City Golf Plaza, Metrowalk, and Ortigas Home Depot. I used to frequent these places when I was still working in Pasig 5 years ago. 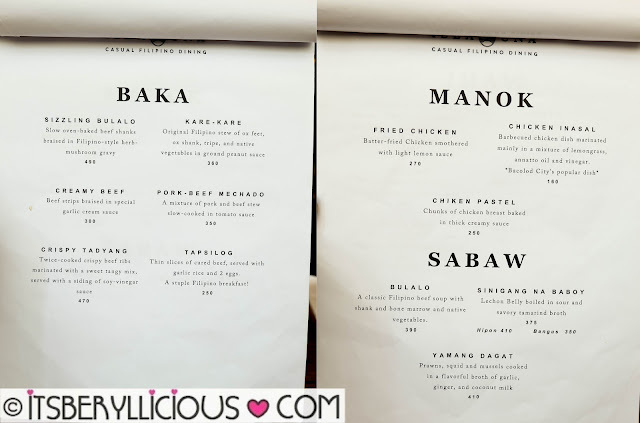 Just recently, we found ourselves back in City Golf Plaza for a quick lunch before I head on to a cooking lesson with Kikkoman at the 25 Mushrooms Kitchen in Valle Verde. We were planning to visit Frankie's, but changed our minds last minute when we saw this new restaurant called Isla Una. 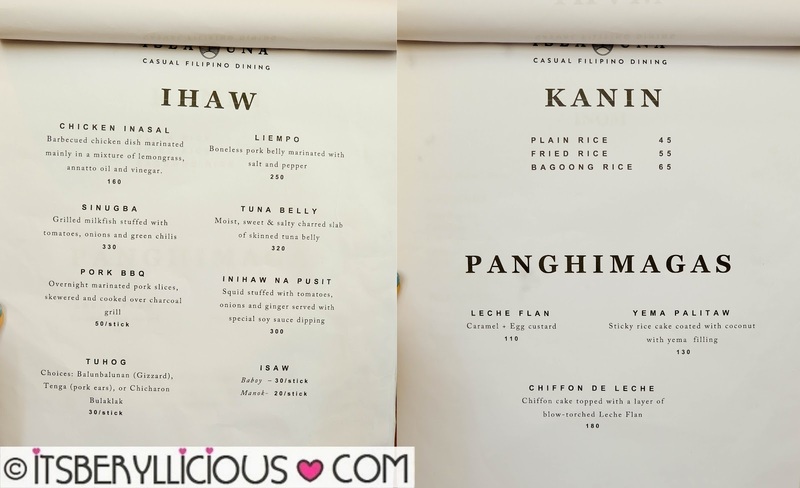 Frankly, since I am not much into Filipino cuisine, I was not too enthusiastic about it. But as soon as we entered the place, a sudden feel of excitement came in. The place was very nice and cozy. It has this stylish and modern vibe, contrasted with native decors. 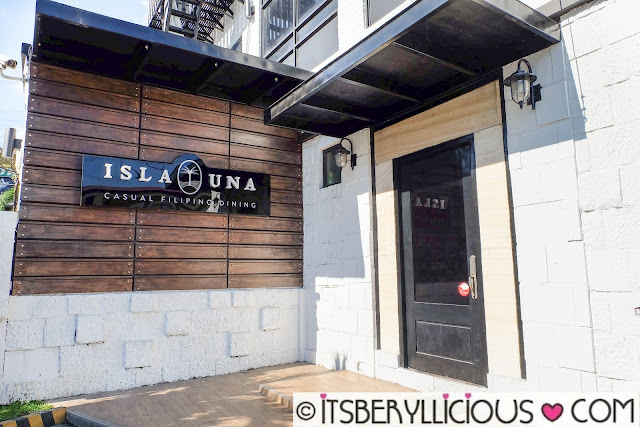 I suddenly saw myself looking forward to try Isla Una's dishes. We ordered a starter of Tusok-Tusok (P160) while waiting for our favorite couple Sumi and J to arrive. It is basically a mixed platter of squid balls, fish balls and kikiam balls, served with a sweet and sour dipping sauce. It's way pricier compared to buying it from street vendors, but I appreciate the generous quantity per order bringing it to a P5 a piece. 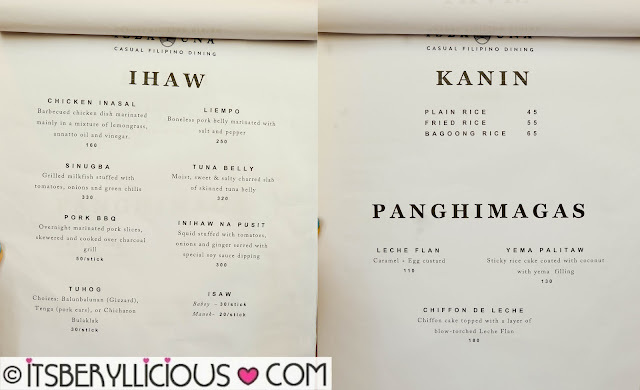 Another dish that got my attention was the Poqui-Poqui (P160). 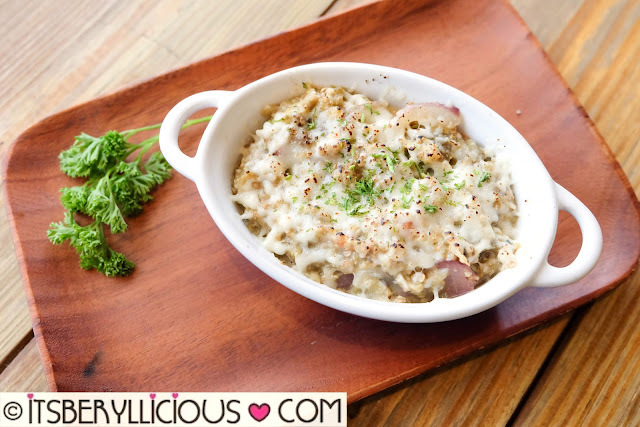 A native recipe from the Ilocos region featuring grilled eggplant baked with various spices, onions, tomatoes and egg. 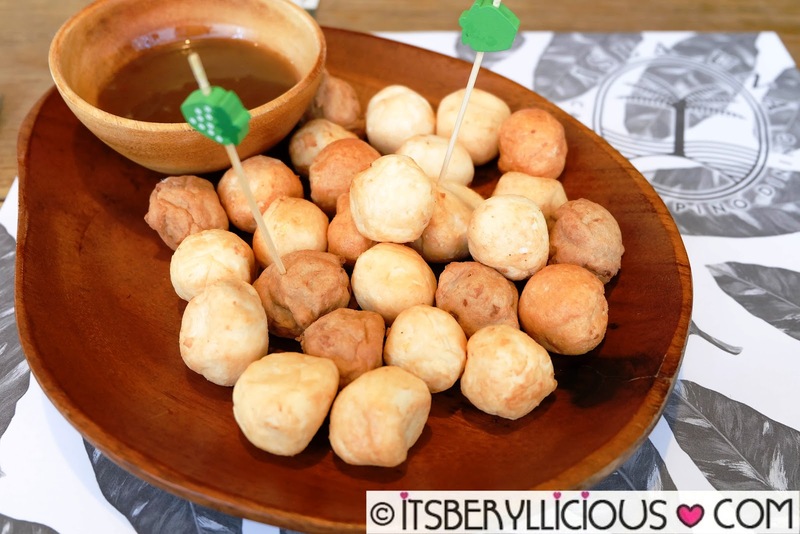 It somehow reminds me of my favorite kulawong talong from Laguna, but lighter in taste and has simpler ingredients. I love the smokey taste from the grilled eggplant, while the addition of kesong puti gave a modern twist to the classic Ilocano dish. Our visit was very timely, as they had this Lunch Specials for only P199. 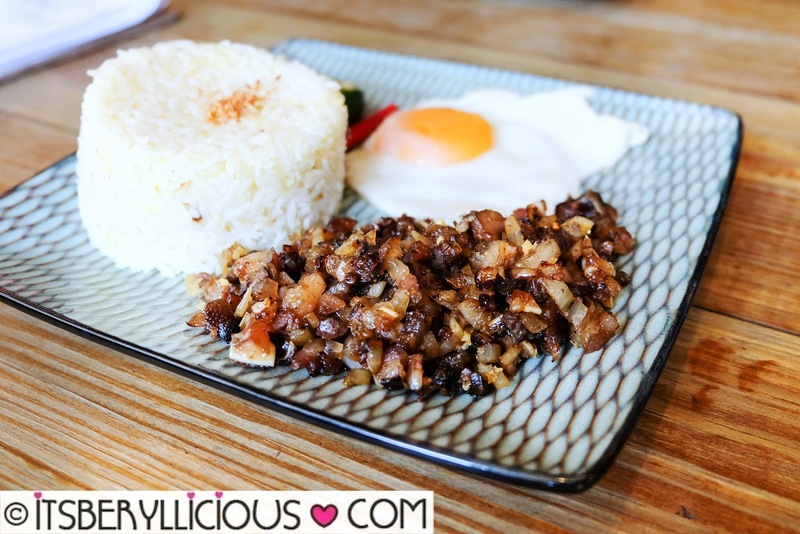 D enjoyed his Sisig Rice and realized how indulgent and sinful it was after a few spoonfuls. Nevertheless, it was a filling and satisfying choice for him as he was able to eat more rice than usual. 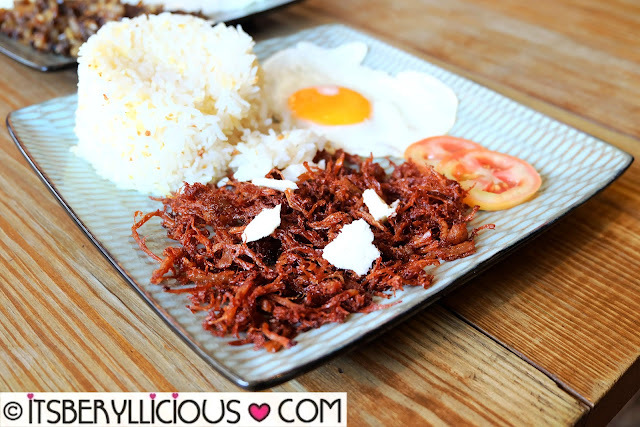 The Crispy Adobo Flakes initially looked like corned beef served with a sunny side up egg, tomatoes and garlic rice. I was able to taste this from Sumi, and no doubt it was crispy and good. 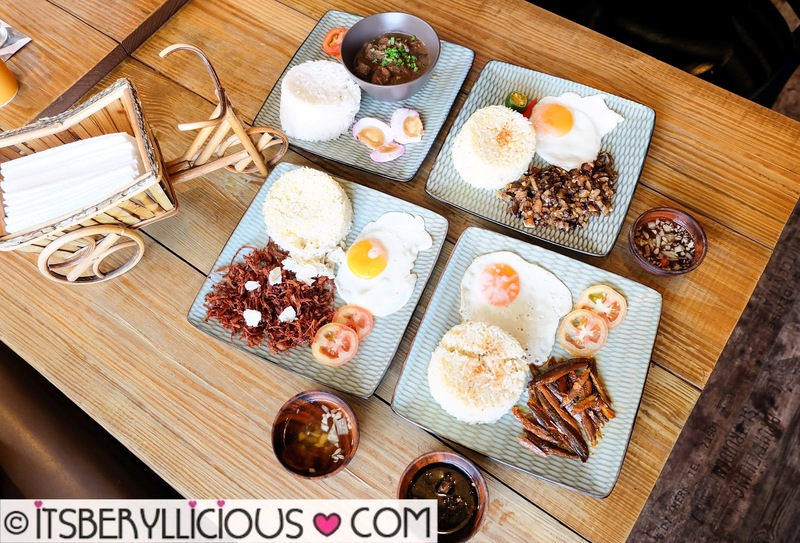 Tuyosilog features the classic Pinoy breakfast fare of dried salted fish, garlic rice and sunny side up egg. Being a fan of stews, I had my eyes on the Beef Pares. 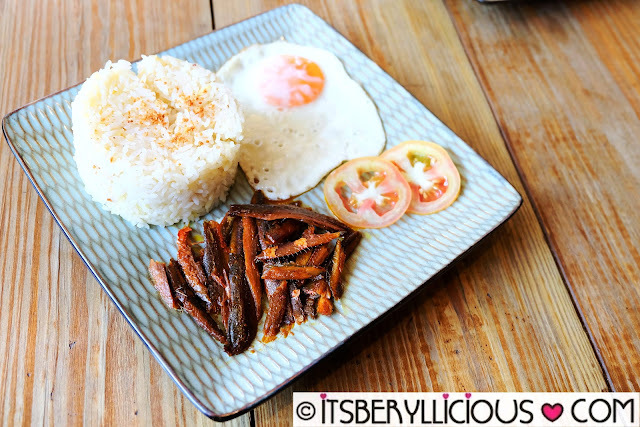 It was a stew of savory beef brisket served with plain rice, tomatoes and salted egg. I love beef stews and our local version, pares, never disappoints. 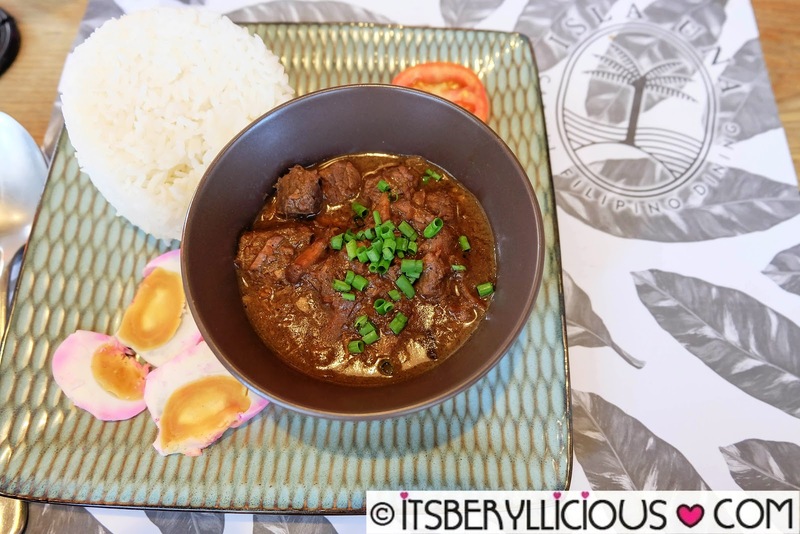 Although I prefer it to be on the sweeter side, this pares was tasty and flavorful, with a hint of that licorice taste from star anise. 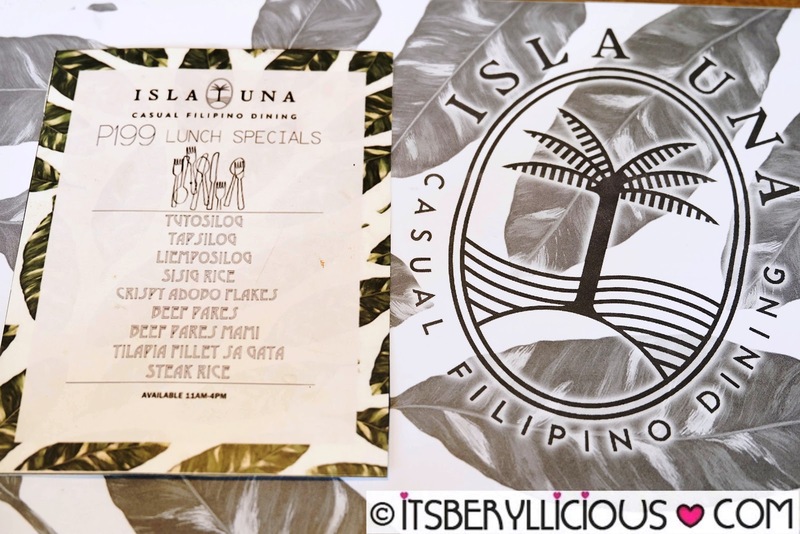 While we only tried Isla Una's lunch specials, I wouldn't mind going back to try other bestsellers. 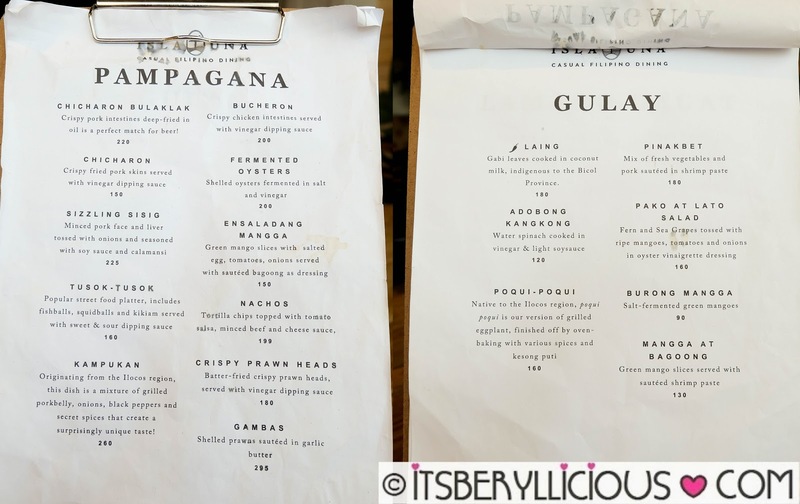 The place is ideal for long lunches and dinners with its relaxed and casual setting. Our only concern was the waiting time for our orders and bill to arrive. Other than that, wait staff was friendly and attentive to our needs.